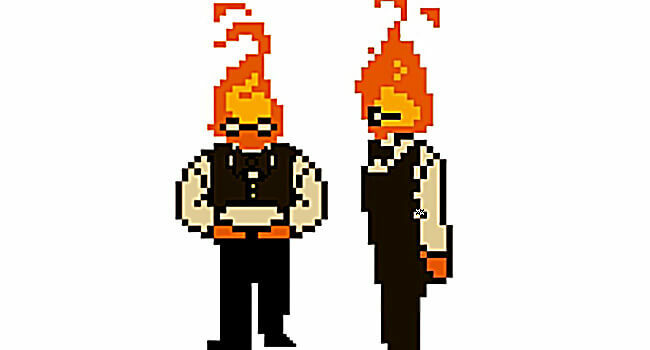 In Undertale, Grillby is a quiet fire monster who owns and runs the bar Grillby’s in Snowdin, where Sans is a regular. 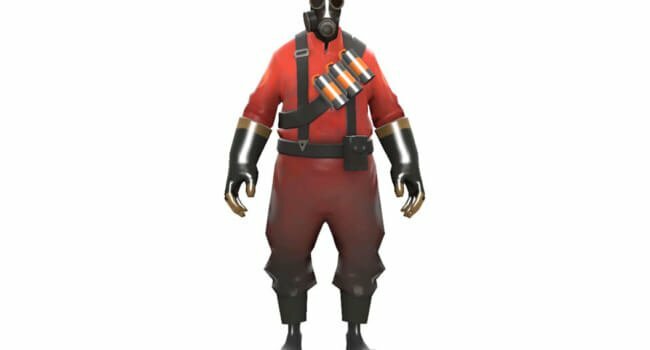 In Team Fortress 2, the Pyro is a pyromaniac who has a burning passion for setting things on fire with his flamethrower and flare guns. He’s also a raving lunatic, living in a candy-colored fantasy land populated with unicorns and rainbows known as Pyroland.